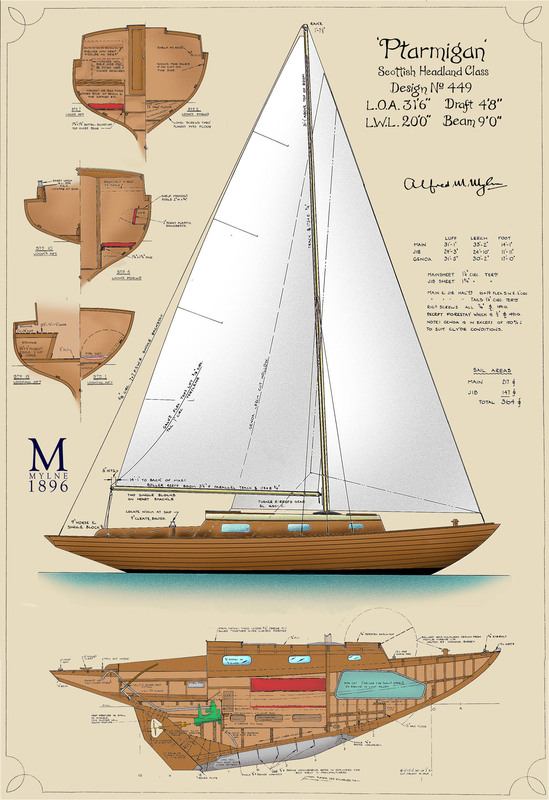 ‘Ptarmigan’ is a 31.5ft auxiluary sloop cruiser, she is a one-off build of the ‘Scottish Headland Class’. Designed by Alfred Mylne II in 1962 and built by the McGrouther brothers at McKellar Slipway Ltd., Kilcreggan, Helensburgh, Dunbartonshire in 1963. 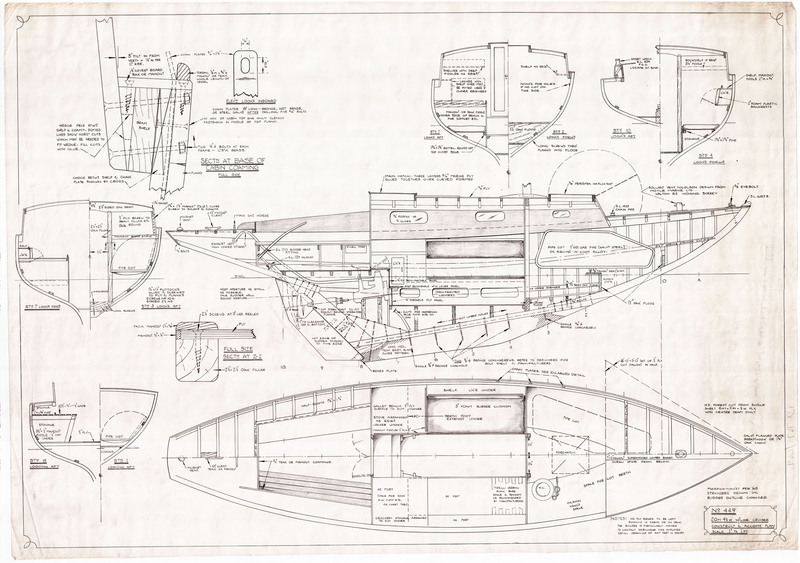 She is one of the last traditional wood designs of the old style to be drawn by Mylne Naval Architects and has been going under a restoration process. With most of the frame having been streangthened with oak as per the design instructions supplied by Ian Nicolson (former owner of Mylne Architects and still involved with the company), she has been under cover and the mahogany planking is unpainted and in excellent condition. 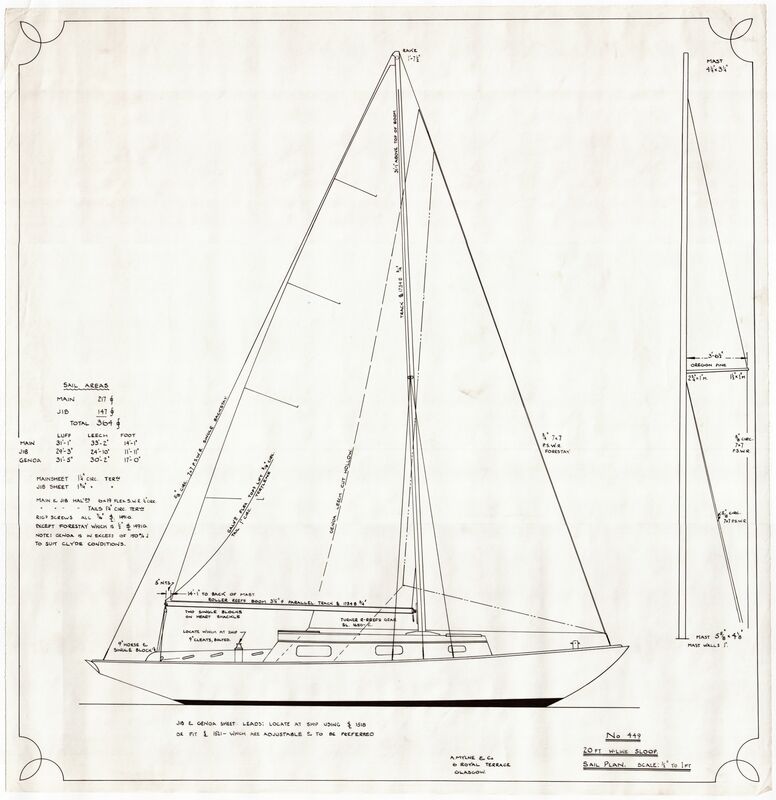 ‘Ptarmigan’ comes com[lete with new rudder, mast, boom, sails, deck fitted anchor and a complete set of full size drawings. 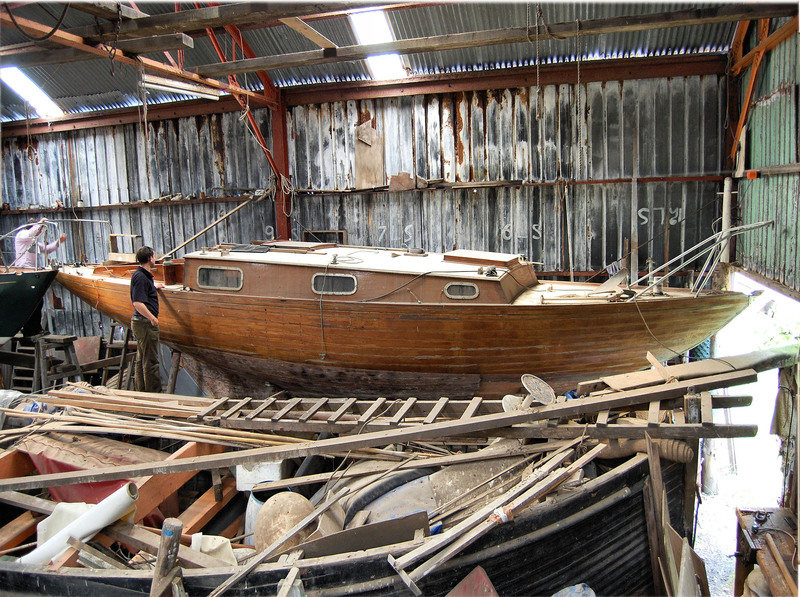 This is a beautiful boat and a great project for someone.